Alanya is the festival’s of town and starting a new festival at 23rd of April. It is Alanya international children’s festival. The festival organised by Alanya municipality and there will be children from 7 different countries. 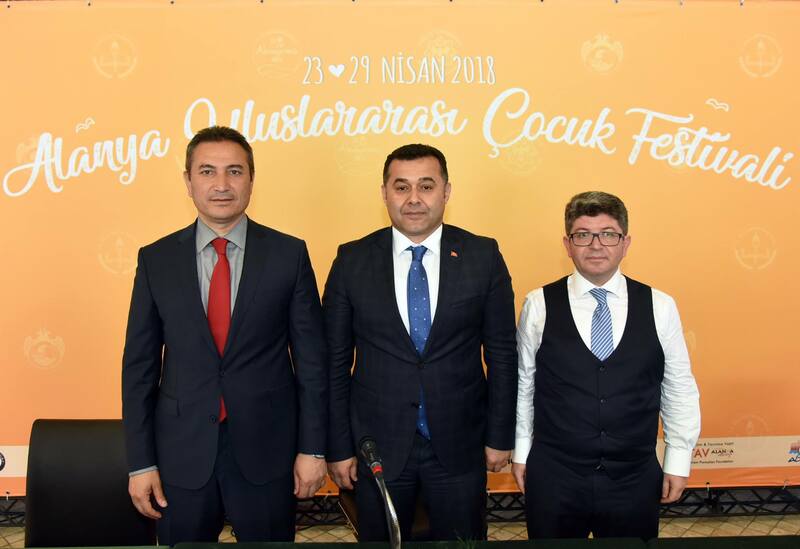 Alanya Municipality Mayor Adem Murat Yücel, Alanya national education department manager Hüseyin Er and Alanya municipality theather manager Hüseyin Çinal have done a commen press confrence regarding the first Alanya international children’s festival. Mayor Yücel says; 23rd of April is unique children festival in the world which presented to world’s children by Mustafa Kemal Atatürk. In oder to celebrate perfectly, we are going to organise the first Alanya international children festival. There will be book exhibitions, meetings, theather, show and different events at the festival. I belive that It will be educative and funny fest. We are planning to make it bigger in everyyear. I wish the all teh young guys a happy 23rd April day and I would like to see all Alanya children and their parents at the festival. 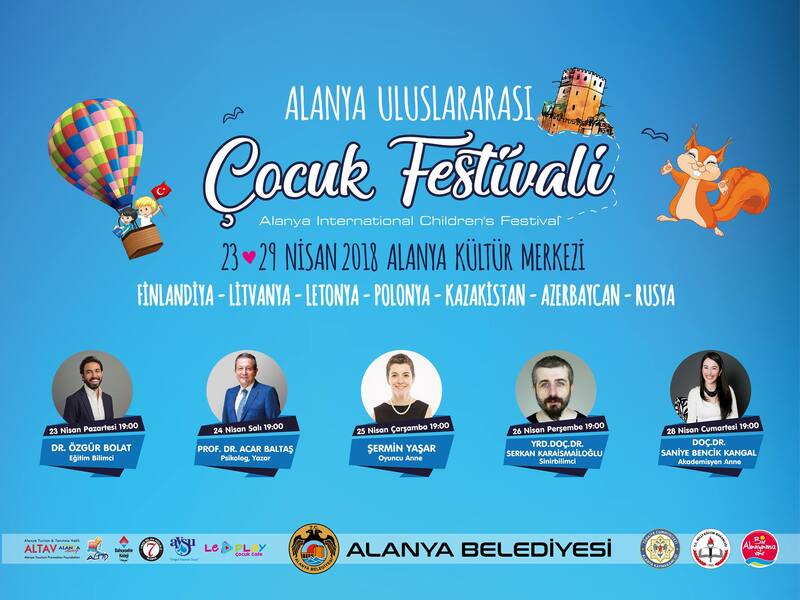 Alanya municpality theather department manager Hüseyin Çinal says that the festival starts at 23rd April and It will continue during a week at Alanya Culture place. Alanya national education department manager Hüseyin Er says that we are going to celebrate the 23rd April National Sovereignty and Children’s Day in Alanya enthusiastically. We are going to organise a wonderfull festival with all the world’s children participation. I would like to give my personal thanks to Mayor Mr. Yücel and Governor Mr. Harputlu cause of wonderful organisation. What does mean 23rd of April In Turkey? Because Ataturk dedicated the Turkish Republic to children, Turkish school children take seats in the Parliament for the day and symbolically govern the country. They elect a president who then addresses the country on national television. Children’s festivals take place throughout the country. The state-run Turkish Radio and Television Corporation (TRT) brings children, aged eight to 14, from different countries around the world to Turkey. These children stay with Turkish families for a week and participate in children’s festivals, which culminate is a gala-performance on April 23. If you see the flags at balconies and at shops It is the national day in Turkey. Here by the Video which was done by Alanya municipality with the kids who lives in Alany from different countries origanated.